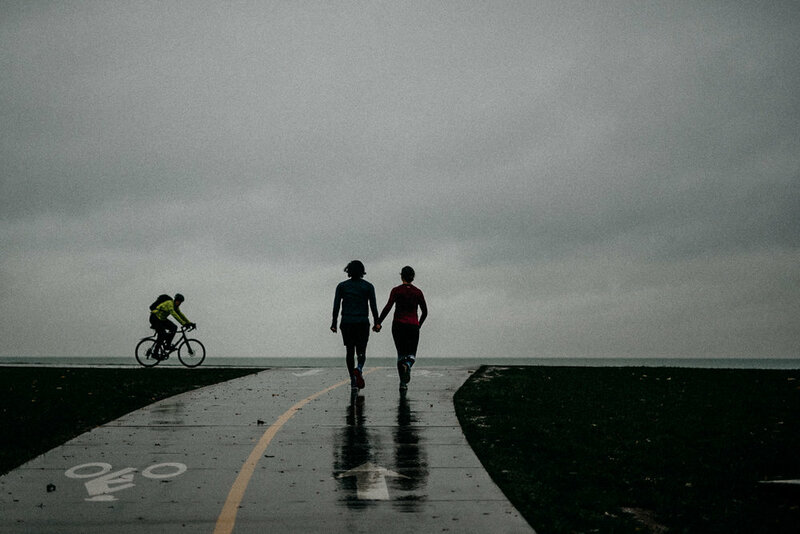 The morning of Kathryn and Dushyant's sunrise engagement session, I woke up in Chicago to steady rain and dark skies. Like....DARK. Like it looked like nighttime dark. 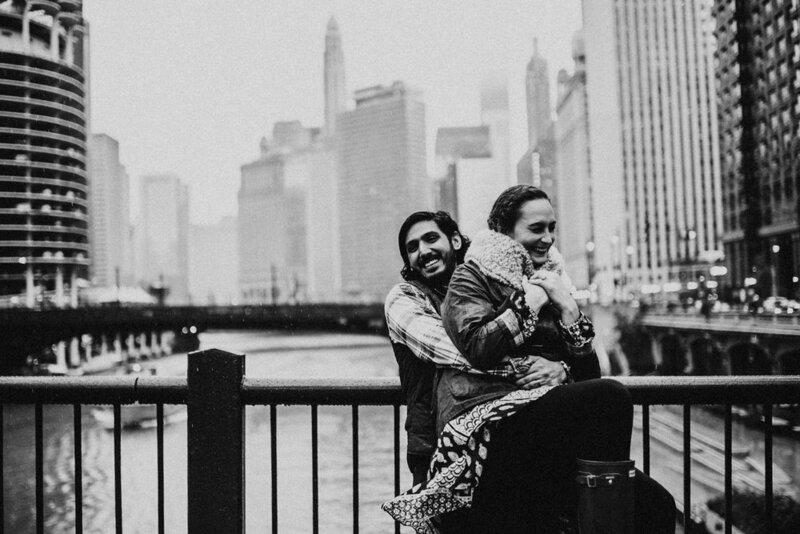 This was pretty much our one shot at an engagement session, as I wouldn't be able to make it back up to Chicago this fall. 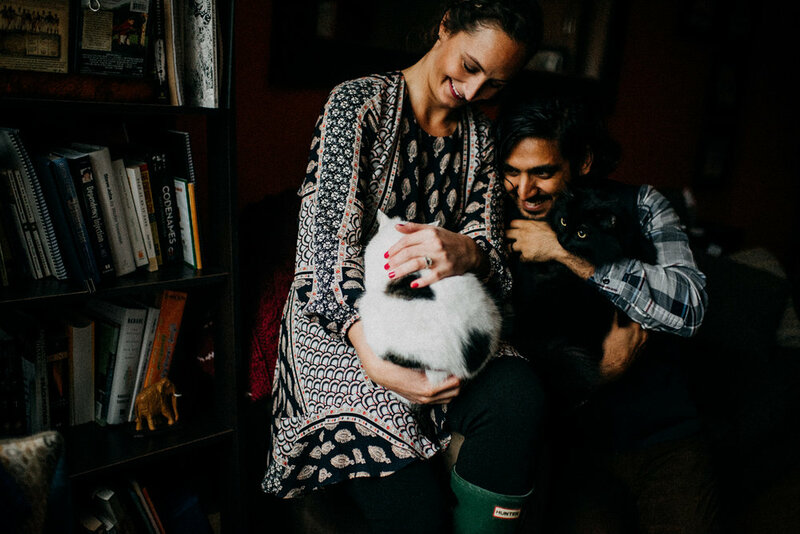 Kathryn and Dushyant have many wedding guests coming in from out of town, so their save-the-dates need to go out asap. So we decided to just play the hand we were given, weatherwise. I asked them to meet me 30 minutes later to give the skies a little time to brighten, and by the time we started we had enough light to shoot (yay!). 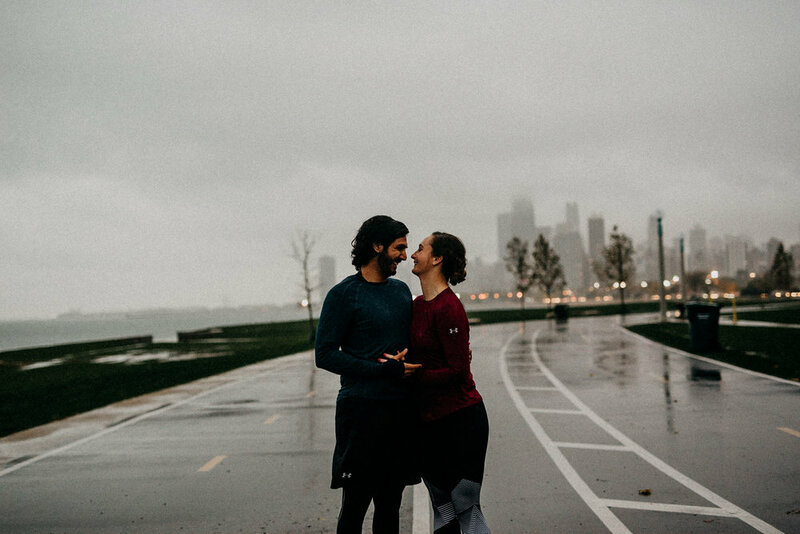 Kathryn and Dushyant are avid runners, so they thought it would be cool to start the session at one of their favorite running paths, on the lake. I absolutely love when couples incorporate a hobby or passion into their session, it makes it so much more personal. After this we made a stop at their downtown apartment to warm up/dry off/change clothes...and of course, grab some snaps of their adorable cats :) We then did some shots around their neighborhood, and ended right downtown at the Riverwalk. These two were absolute TROOPERS despite the weather. 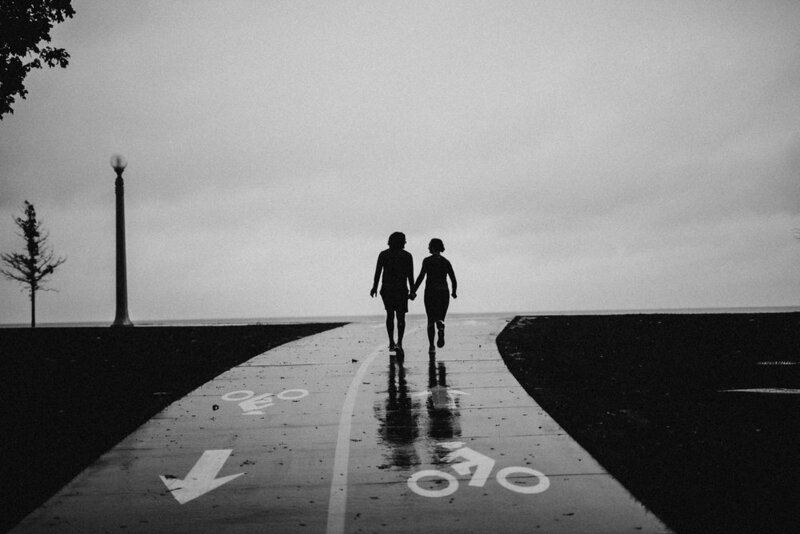 They smiled and laughed so much, and never once complained about the rain or let it get them down. Shooting in the rain was a bit of a challenge for me, but to be honest - 10/10 would do this again. I think the rain, wet streets, reflections, and lit-up streetlights add such a unique element to these images. I absolutely LOVE them. 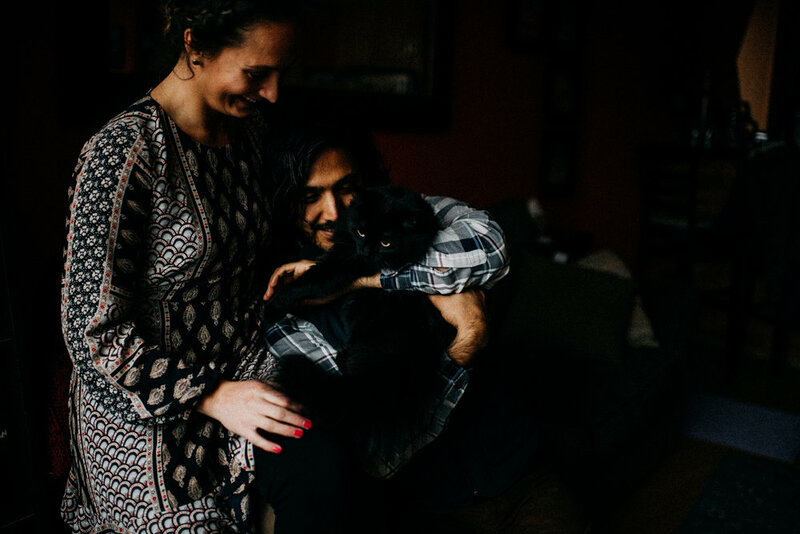 Kathryn and Dushyant, I had such a good time with you and I hope you love what you see so far! Looking forward to your wedding next year! !